The Wyoming toad (Bufo hemiophrys) was discovered in 1946 by Dr. George T. Baxter, a University of Wyoming professor. This toad was originally considered a subspecies of the Canadian toad (Bufo hemiophrys). The historic range of the toad included flood plains of the Big and Little Laramie Rivers and the margins of ponds in the Laramie Basin within 30 miles of the city of Laramie, Wyo. Once was one of the most plentiful vertebrate species in the Laramie River Basin Wyoming. Rapid declines in the toad population seen in the 1970’s, the exact cause of these declines is unknown. Possible causes include aerial spraying of pesticides, chytrid fungus, red-leg disease and habitat alteration. Federally listed as an endangered species in January of 1984. The first Wyoming Toad Recovery Group was formed in September 1987. In 1993 what was thought to be the last 10 living toads were captured at Mortenson Lake and brought into captivity to start a breeding program. The Wyoming toad was declared “extinct in the wild” and still is. 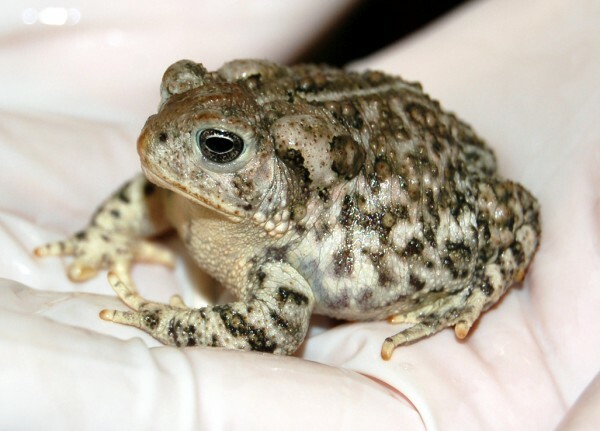 The first successful captive reproduction of the toad occurred in 1994 at the Sybille Wildlife Research and Conservation Center in Wyoming. Local land owners provide safe harbor sites for the reintroduction of Wyoming toads. 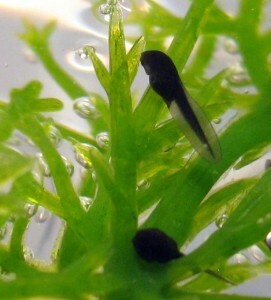 More than 100,000 tadpoles and toadlets have been reintroduced since 1995. Sites are surveyed annually to monitor population numbers. So far we have seen mixed results. The SSP was formed in 1996. 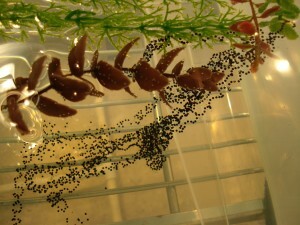 Only seven AZA accredited zoos and two Fish and Wildlife facilities participate in the SSP program by breeding toads. Volunteers from zoos travel to Laramie to assist in surveys for toads each summer. This entry was posted in biodiversity, ex-situ conservation, Extinction, Partner project, Rescue, why frogs matter and tagged Bufo hemiophrys, Wyoming toad by Lindsay. Bookmark the permalink.